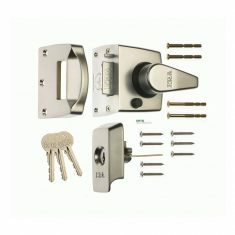 Night Latches from Nigel Rose (Marketing Services) Limited. 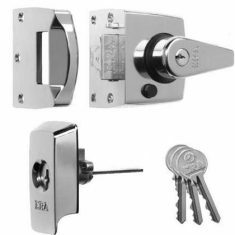 Because different security levels are required they are available in several different types. 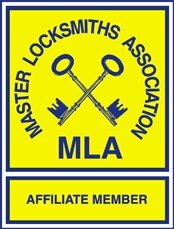 The “Traditional Door Lock” will replace most existing front door locks providing added security. These are available in Green, Brass effect and Chrome finish. Supplied with Three keys. 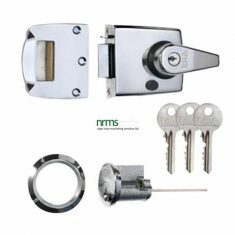 The “Replacement Front Door Lock” comes with the option of having a deadlocking or non-deadlocking facility on the external cylinder. 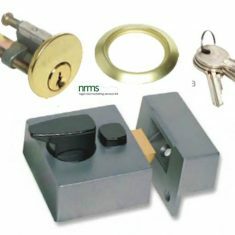 This newly designed lock body has a larger footprint and because of this will hide most existing marks. Available in Brass, Satin or Polished Chrome and white finishes. Supplied with Three keys. 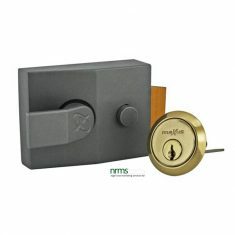 The “Double Locking Nightlatch” is designed to replace most existing front door locks. 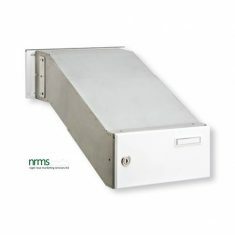 Ideally suited to solid and glass panelled wooden doors. 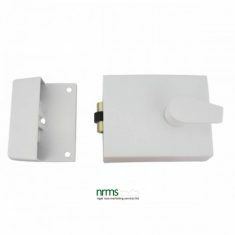 Available in 40mm and 60mm backsets. 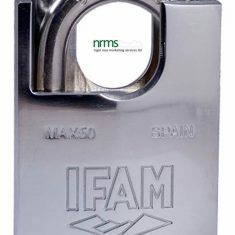 Available in Brass, Grey, Satin or Polished Chrome and Satin Nickle finishes. Supplied with Three keys. 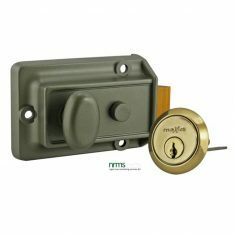 “BS Keyless Egress Nightlatches” overcomes the conflict between a secure British Standard accredited front door lock and fire safety recommendations. Available in Brass effect, Satin or Polished Chrome and Satin Nickle finishes. Supplied with Three keys. 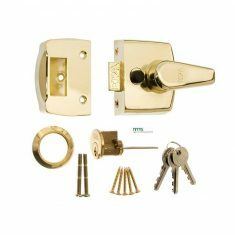 “BS High Security Nightlatches” conforms to BS3621:2007 (BS EN 12209) and because of this meets the tough criteria laid down by the Police and Insurance Companies. 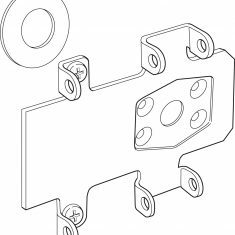 Available in Brass, Satin or Polished Chrome and Satin Nickle finishes. Supplied with Three keys. Nigel Rose (MS) Ltd © 2019. All Rights Reserved.